1. 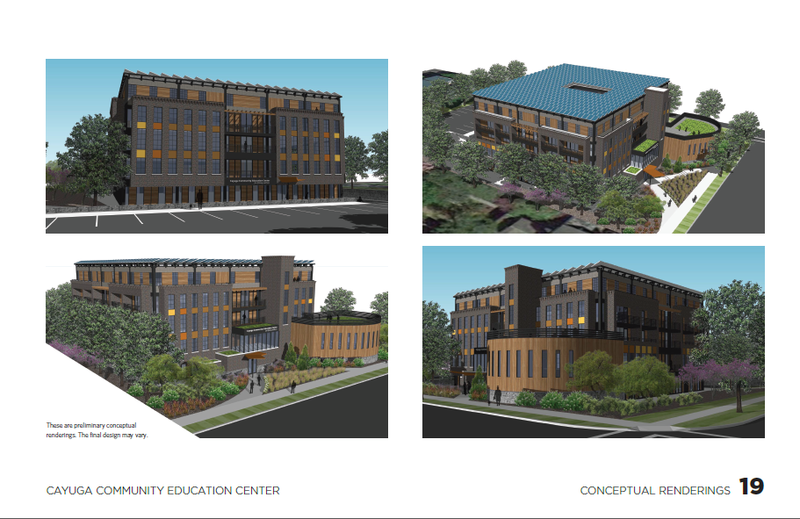 Here’s the first revision for the Maguire proposal in Ithaca town. With different building sizes and parking layouts, about the only thing that remains the same is the general site configuration. 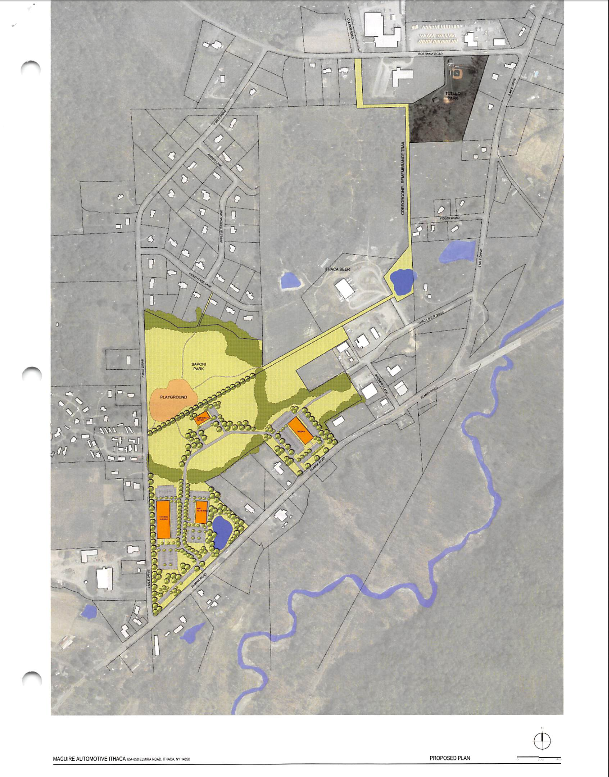 The planning committee packet has its retinue of numbers to help sell the town on the project; 50 new jobs and 100 transferred to the site (average wage $44,300), with an extra $2,000,000 in taxes for the town. The town is being cautious about the project because it relocates a proposed park (Saponi Meadows), and the project doesn’t fit with the just-completed Comprehensive Plan. Zoning would need to be amended, and the trail to Tutelo Park would hinge on a land donation to the town that also seems to involve them taking responsibility for the roads on Ithaca Beer’s property. Observant readers will recall Ithaca Beer is undergoing an expansion of its own. From SW to NE, you have the Subaru/Hyundai dealership, the Fiat/Alfa Romeo/Maserati dealership (those wealthier Cornellians need to get their GranTurismos and Ghiblis serviced somewhere), the corporate HQ and the Nissan dealership. The dealerships themselves will follow carmaker-approved design language, as the examples included in the packet suggest. 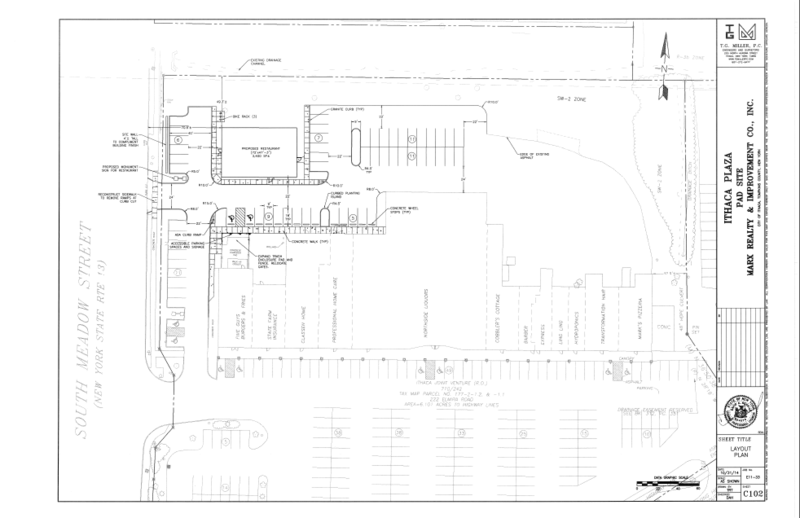 Two lots on either side of the corporate office are tagged for future development, and an Audi/Porsche/Jaguar dealership is included in the dealership renderings, but not in the site plan. The project would be LEED certified, have electric car stations, walking trails, a loop road, and a coffee bar/cafe. Unique to the project would be apple and cherry orchards and vineyards – I suppose this is where the “artisanal” moniker comes in. We’ll see how warm the town is to the project after the presentation. 2. In other presentations, this one for the county, the Old Library Committee is recommending that all four of the remaining Old Library proposals be asked to submit formal proposals. 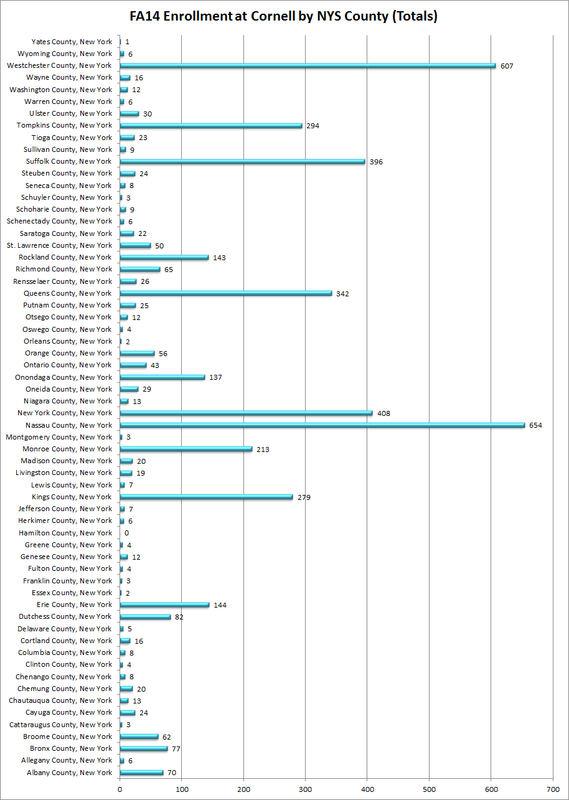 Last Friday, the county also opened up a 10-day comment period on the RFP draft document. Personally, I don’t see much to add to it, and most of it consists of things that would be great if one project had it all – but none will. It’s what HR recruiters call a “purple squirrel“, a perfect candidate that has a vanishingly small chance of applying. It requests green building, affordable housing, purchasable units, mixed uses, and a special meeting with the stringent ILPC (Ithaca Landmarks & Preservation Council; I recall notes from a recent meeting where they had an argument on whether solar panels were appropriate for historic buildings and districts). I don’t believe any project on that site can meet all those and still hope for a construction loan from a private entity. Condos (which is what purchasable units means in this case) are hard to get financing for, and affordable housing torpedoes the DPI and Franklin/O’Shae projects because they won’t break even at a lower price point, therefore no loan, no build. I suspect Travis Hyde would also have the same problem, and the Cornerstone Group, while affordable, doesn’t have mixed use or green building measures. I understand it’ll be a “whatever comes closest” situation, but I feel like the county is setting itself and local residents up for a disappointment in one way or another. 3. Looks like the Times has had a busy week writing about local projects. A piece on 114 Catherine, a piece on 323 Taughannock, an article about the Troy Road project, and a piece on the Chain Works District. Gee, I wonder where they got the idea that local developments make for interesting articles? A fifth entry notes 85 people attended the brainstorming session for the Neighborhood Pride site, which is simply fantastic. If I’m to recommend any of the four, it would be the piece on the Chain Works/Emerson project, which is in-depth and broad in its review of the site and its environmental issues. The writeup on 323 Taughannock notes that developer Steve Flash originally wanted a taller building on site, but soil conditions combined with the costs for a more substantial foundation made it cost-prohibitive (and unlike the Purity project, this was discovered well before any plans were approved). 4. Compared to much of this year, this month’s Ithaca city planning board meeting looks to be rather quiet. Agenda with all the attachments here. INHS will be giving a description of their “visioning process” for the Neighborhood Pride site, which probably means a rundown of how they’re going to come up with the design (the goal is to present a sketch plan of the project in March or April). 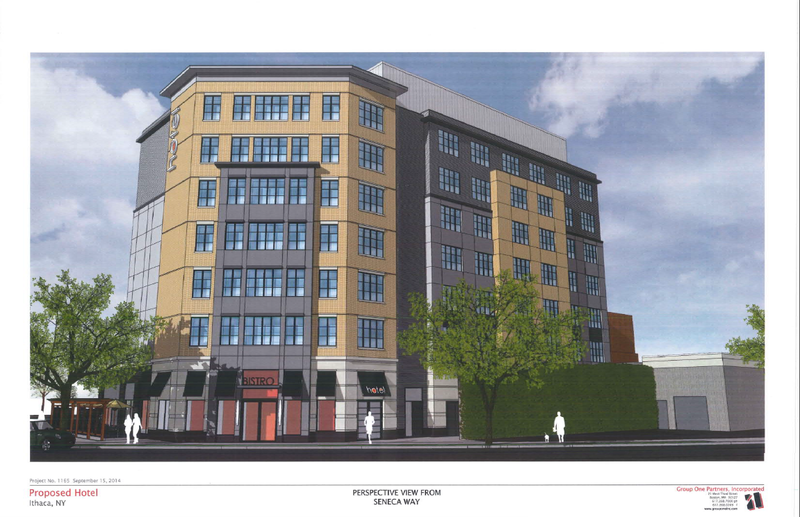 The 114 Catherine and 128 West Falls Street infill projects are in the last stages of review, some discussion of the environmental assessment form is scheduled for the Canopy Hotel, and Purity is still trying to amend its previously approved plan. 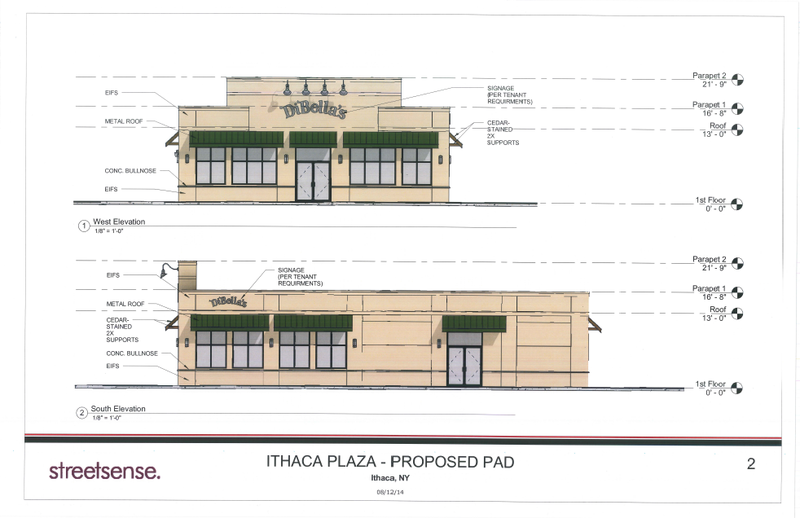 Also in the itinerary, formal review will begin of the 3,400 sq ft DiBella’s planned for big box land. In terms of sketch plans, there’s a review for a new children’s garden at Cass Park, and a pair of duplexes (4 units total) for what is currently a parking lot at 112 Blair Street, behind the houses on the embedded map. 112 Blair is zoned CR-2, meaning parking, vegetative buffers, and hipped roofs are required. It needs to be 2-3 stories and permits a max of 35% lot coverage (it’s a 6,390 sq ft lot, so about 2235-3353 sq ft per duplex, 1117-1676 sq ft per unit). Infill is always welcome, though hopefully they aren’t as plain as their State Street neighbors built a few years ago. News next week will likely be lacking due to the holiday, so the next development roundup will probably be in December. On a final note, we’re averaging the third coldest year since records started in 1893. Damn it, I want my global warming. Oh wait, here it is. Virtually everywhere else except Ithaca. Sigh. 1. I see the Journal (and Common Council) has touched on what is probably one of the biggest questions when it comes to housing in Ithaca – the affordability issue. As noted over at Ithaca Builds, it’s a complicated problem, and there is no silver bullet. We have a confluence of problems, many of them fortuitous – a growing economy and a desirable place to live, even if it has a dearth of developable land. On the other hand, wages aren’t going up as fast; so the problem gets worse. 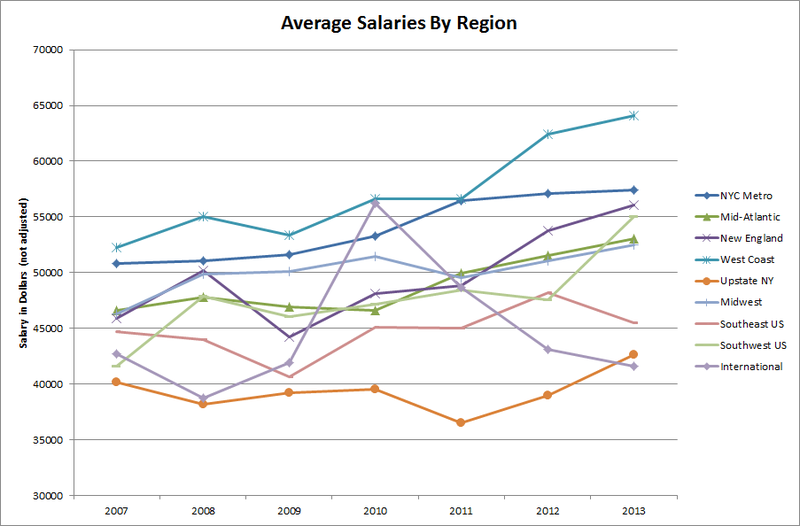 From 2000 to 2013, average income increased 61%, but home values over the same time increased about 105%. I become very negative and cynical when I think about this issue. It gets lip service, but no one really wants to do anything about it. 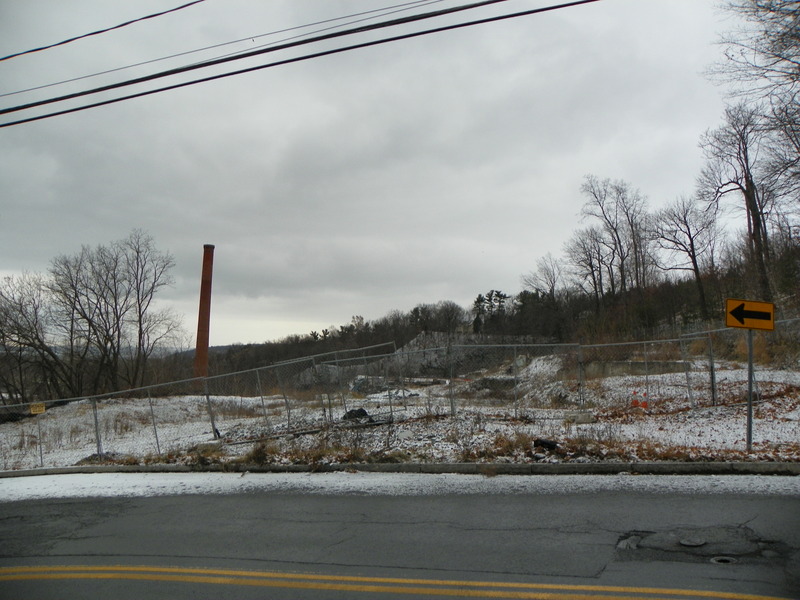 Development costs are expensive in Ithaca, so no developer wants to do it on their own dime. There’s also a mentality among some residents that affordable housing equates to ghettos and crime. West Hill is opposed to more affordable housing on their hill, South Hill would be very difficult due to simmering tension left from the Stone Quarry battle, Downtown’s too expensive without tax breaks, and Cornell students price out East Hill. There’s not much space that’s developable in the inner neighborhoods, only rare opportunities like the Neighborhood Pride site. Anything built outside the city is sprawl. I don’t see a solution to this problem. I only see it getting worse. As for the hotel, the type of business it brings helps define the services offered by nearby retail. They probably won’t visit second-hand clothing stores, laundromats, or the local bank. But they will restaurants and bookstores and novelty shops. The shops will continue to evolve as they’ve always done – for better or worse, depending on who you ask. 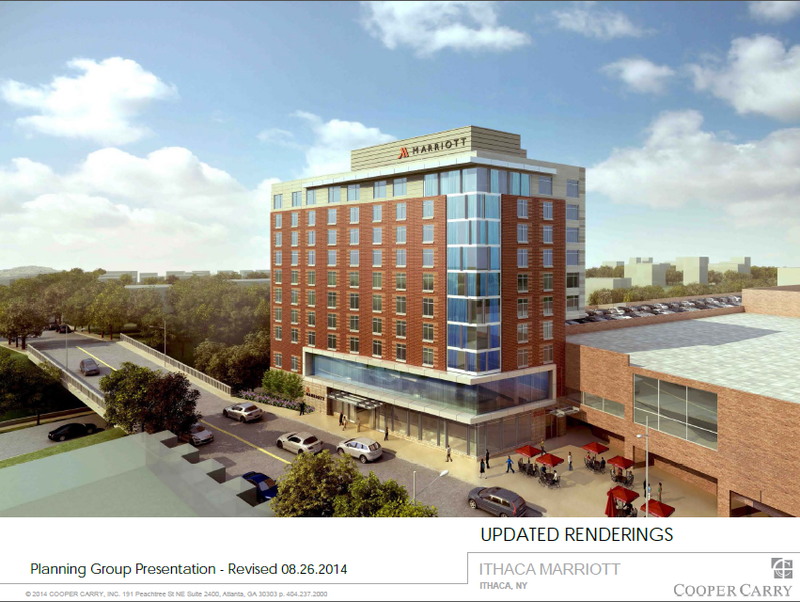 Switching gears but on the topic of hotels, Tompkins County and the city are making a killing on the high demand for hotel rooms, and 2015 is expected to be a banner year thanks to Cornell’s sesquicentennial and other big events. Literally, the report has “cha-ching!” written in the notes. According to the paperwork presented at the October Planning and Economic Development meeting, the city can comfortably accommodate either the Marriott, Canopy or Holiday Inn Express on 13 without a problem (no mention of the smaller hotel approved for 13, although it would be a blip in the market); the city/county can accommodate two of the three with only a minor hiccup. But if all three are built in the next couple years without a new driving force to bring in visitors, an older hotel further out in the county will likely close. My fingers crossed in the hope the Hotel Ithaca convention center gets the construction loans it needs, for that will be a boon to the hospitality market. 2. Looks like the land sale for the Amabel project is in the works after falling a little behind schedule. 617 Five Mile Drive is tentatively selling for the minimum price (the tax assessed value of $16,875), after New Earth Living’s initial bid for $10,000 was rejected. City gets money, land gets sold off and added to tax rolls, and down the line it gets used for housing. Win-win. I win as well, for a correct if easy prediction. 3. 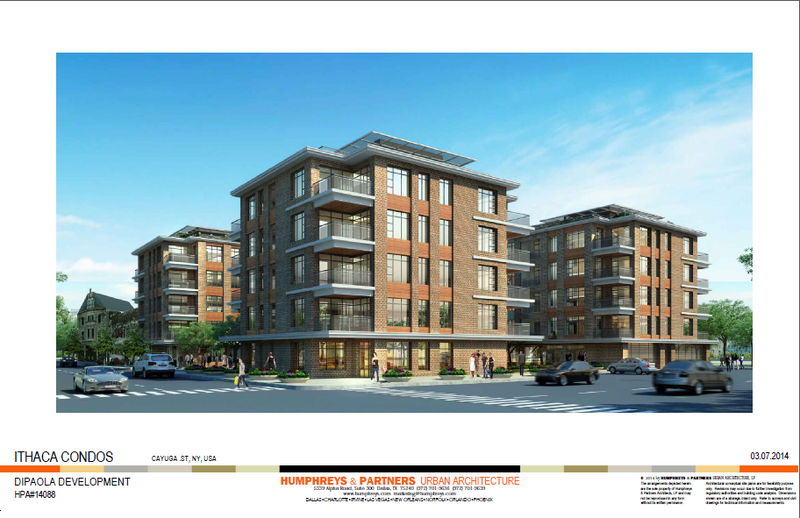 The county’s IDA is reviewing tax abatements for Jason Fane’s 36-unit 130 East Clinton project, and the 20-unit mixed-use Carey Building addition proposed by Travis Hyde Companies. The document for the Carey Building reveals a construction time from of December 2014 to August 2015 for the $4.1 million project, and the number of REV incubator tenants is now up to 9. The reason for the abatement is to take the reduced costs created by the abatement, and move the new units from the upper-end of the rental market to the middle. The applicant writer does a pretty effective job selling it, saying that it will help ameliorate the dearth of affordable rental housing if approved. No new jobs are anticipated, but then, this doesn’t count any company in the incubator. The requested property tax abatement plan, and with sales/mortgage abatements, is valued at $850k over 10 years. Looking at Fane’s project, the document notes a start and finish date in “2015, hopefully 2015 but most likely completed 2016“. That does not instill confidence. The construction cost is $4.4 million. The property tax abatement isn’t explicitly stated in the document, referring to a spreadsheet that wasn’t included in the upload. However, it says it’s following a standard 7 or 10-year plan, so it’s in the ballpark of several hundred thousand dollars. The sales and mortgage tax abatement is $200k. 4. 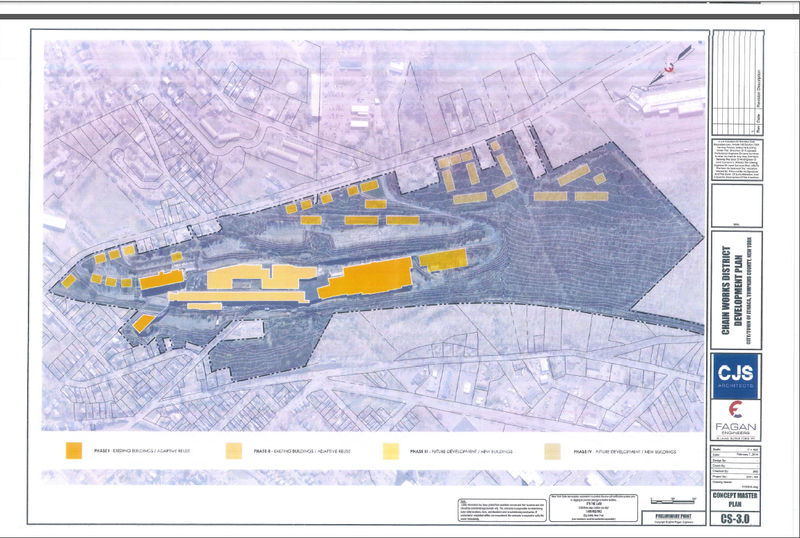 Here’s a site plan render of those “artisanal” car dealerships proposed by the Maguires. Both budget motels come down, but the “mosquito pond” as one commenter described it will still be there. Apparently, campus-like dealerships look a lot like corporate office parks. Saponi Meadows Park lies to the north of the line of trees, on the property adjacent to the Peachtree Lane homes. Saponi Meadows would be connected via the “Coregonel Remembrance Trail” to Tutelo Park in the upper right. The dealerships would be Subaru, Hyundai, Alfa Romeo, Fiat, Nissan and the corporate office for the Maguires. The developers predict 40-50 new jobs if built out. Local firm Schickel Architecture is responsible for the site plan. 5. It’s back. 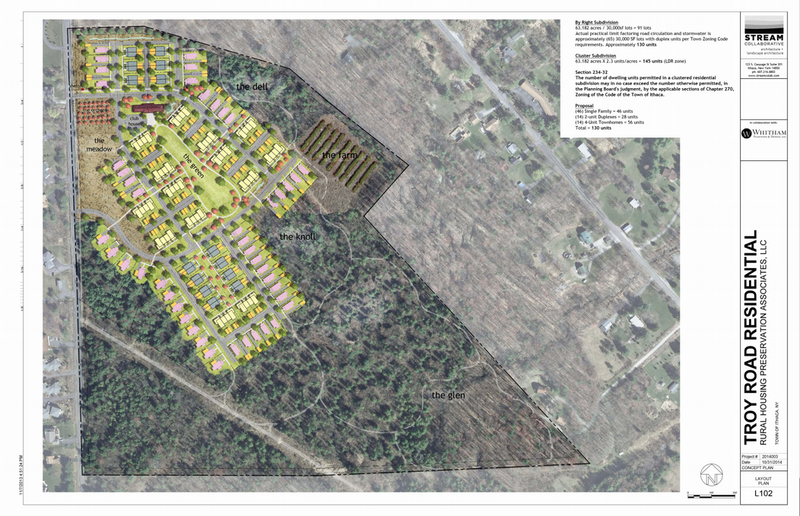 For the town planning board meeting next week, round two for the Troy Road housing development is about to begin. 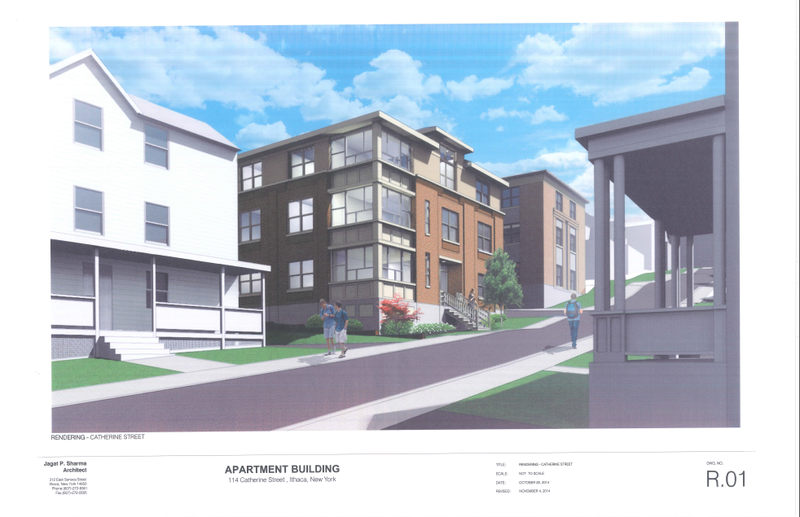 Some readers might recall this past winter, when it began as a 216-unit proposal. By August, it had entered red-tape hell, because neighbors were opposed to the PDZ it needed. Details on the newest incarnation here. Now down to 130 units, a PDZ is no longer needed. 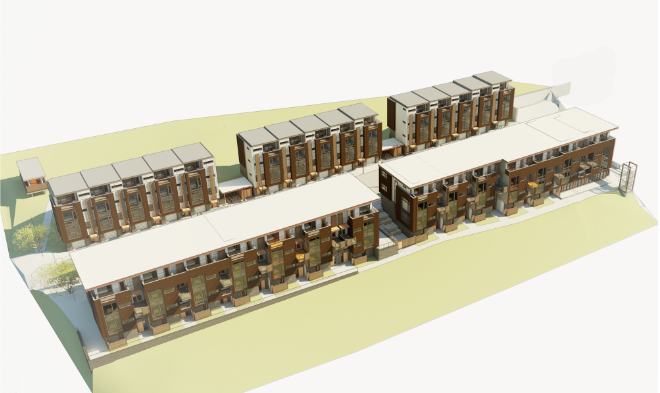 The project will be comprised of 46 2-4 bedroom single-family homes, and 14 sets of 4-unit 1-2 bedroom townhomes (56 units total) and 14 duplexes (2 units each, 28 total). It seems a little odd to include single-family homes again, since those were cut from the last design because the developers weren’t sure there was a large enough market for them. 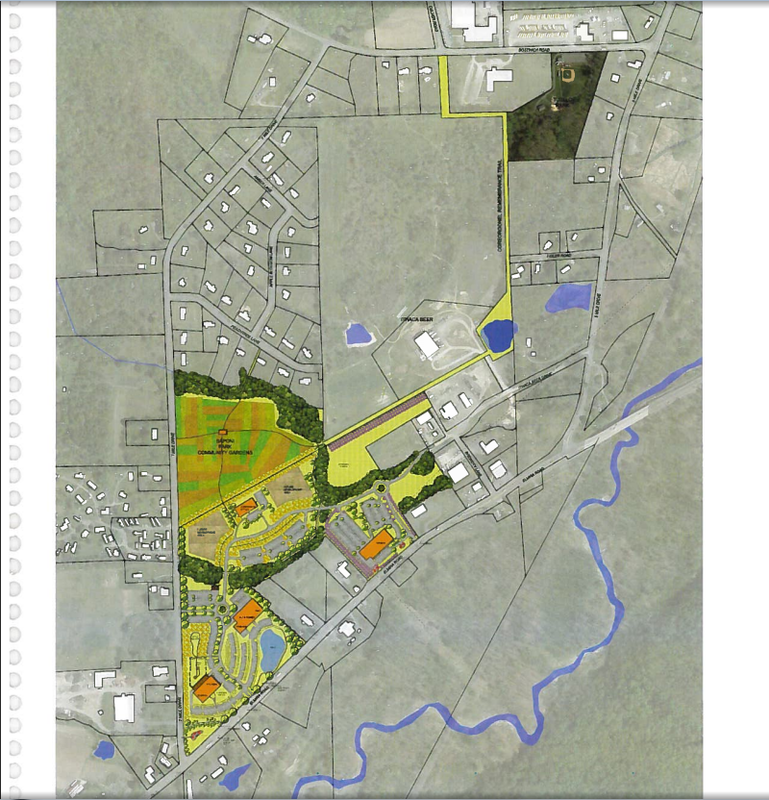 Compared to the previous design, this one is less sprawling, has an orchard and farm on-site, and looks to be eschewing the “rural agricultural”-style housing for modern units designed to exceed NYS Energy Code. With fewer units and no need for a PDZ, the project has a much better chance of approval. 6. According to the Syracuse Post-Standard, regional scrap metal magnate Ben Weitsman just bought a former industrial site in Syracuse and plans a retail and hotel development on the site. 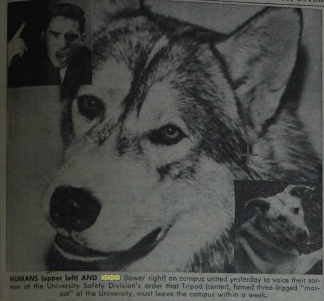 What does have to do with Ithaca? Nothing, at a glance. But as I noted last month, Weitsman has plans for his Ithaca property, plans that are waiting on the Brindley Street bridge replacement. What exactly those plans are isn’t known quite yet. But now we know he isn’t just interested in expanding scrap yards. 7. Another piece from the IJ, this one a meaty write-up on the Ithaca Gun cleanup progress. This (hoepfully) last round of decontamination should be complete by the start of Spring 2015. 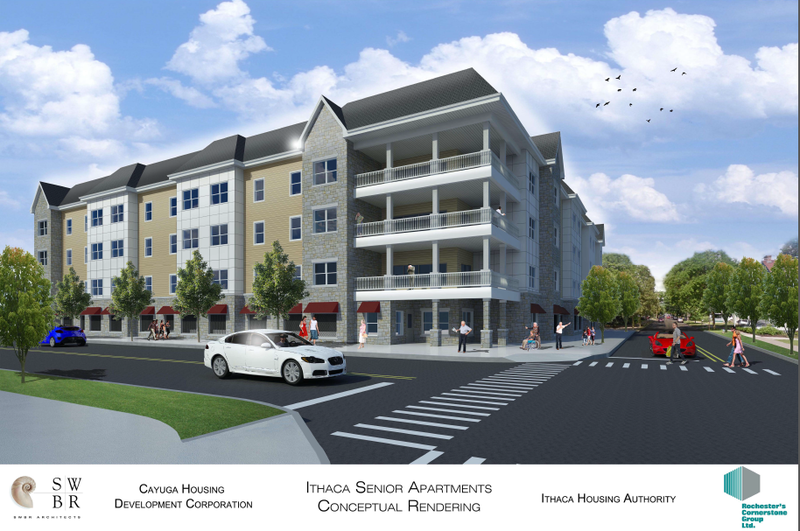 IFR Development LLC (Ithaca Falls Residences), a byproduct of Travis Hyde Companies, hopes to present sketch plans for 45 units of clustered townhouses in December. Some will be 2 stories, others 4 stories with upper and lower units stacked on each other. 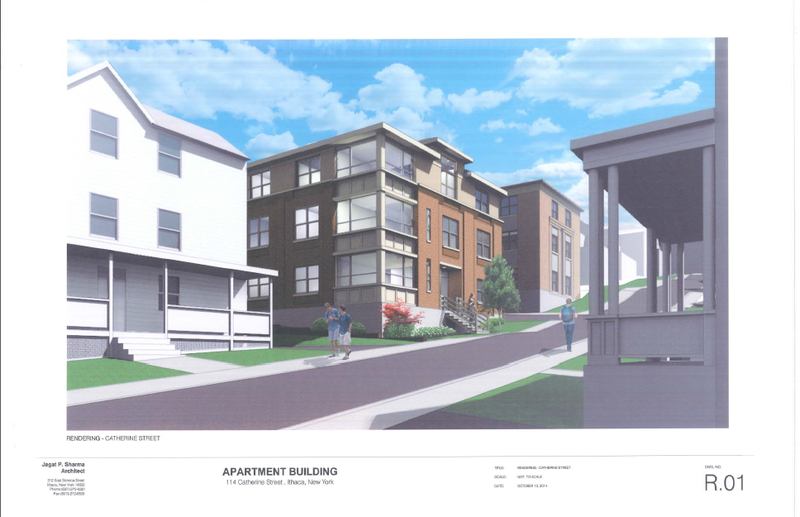 On a whim, I googled “Ithaca Falls Residences” and this report from September came up, complete with renderings. How close they are to the current product, I don’t know. But I suspect they’re not too far off. Adjusting the timeline numbers, it suggests an early 2017 completion. As always, all data is taken from the Cornell University Factbook. 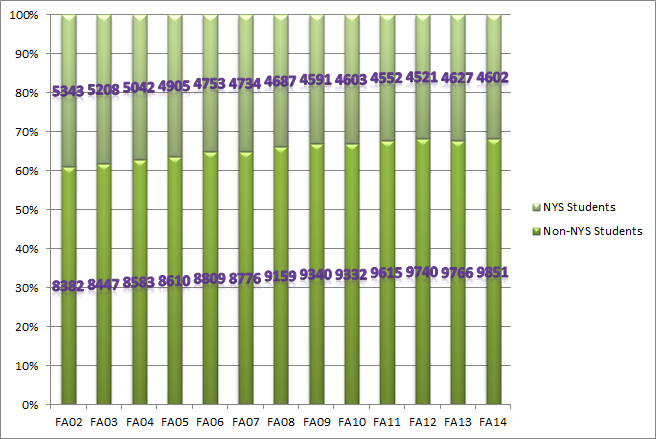 Numbers used in this entry are for undergraduate enrollments. – Go into a STEM field. – If you’re at a really good school for undergrad (Ivy plus), go for business. The logic in both is fairly sound. 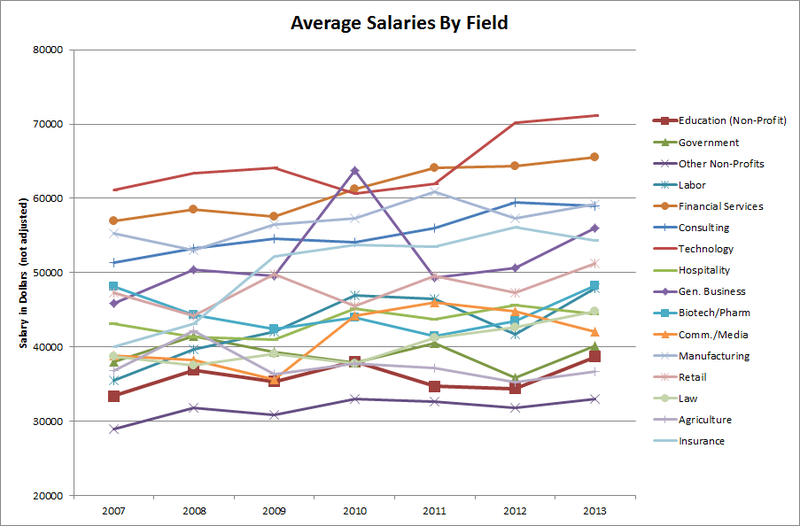 STEM fields are in demand and pay well (and as someone in a STEM position, I say that with a very big asterisk). The other is that our most brilliant minds can get the most return on investment by going into financial services such as investment banking, where you work for for a couple years at a place like Goldman Sachs or JPMorgan, go back for a couple years of B-school, and find yourself making $250k at 32 as a vice president of some random business activity. The popularity of that easily earned, highly lucrative business degree is the reason why Cornell started offered a campus-wide minor in business; one-sixth of Cornell’s students go directly the financial sector, which is actually down a little bit from previous years. There’s also a third mantra, much more negative than the first two: humanities doom you to unfulfilled jobs in coffee shops or years of fruitless grad school labor. Unfair certainly, but the academic stigma, also known as “what are you going to do with that degree?”, is strong for liberal arts majors. 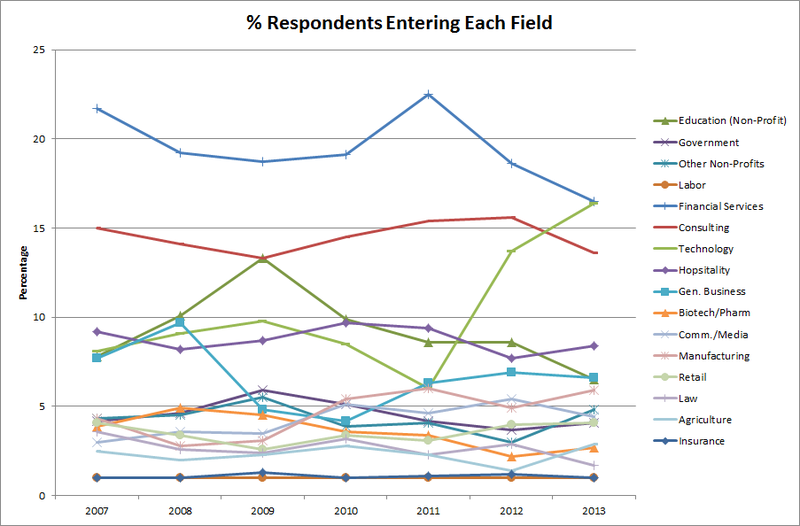 I decided to take the numbers and see if there were any trends in enrollment in certain fields over the years. 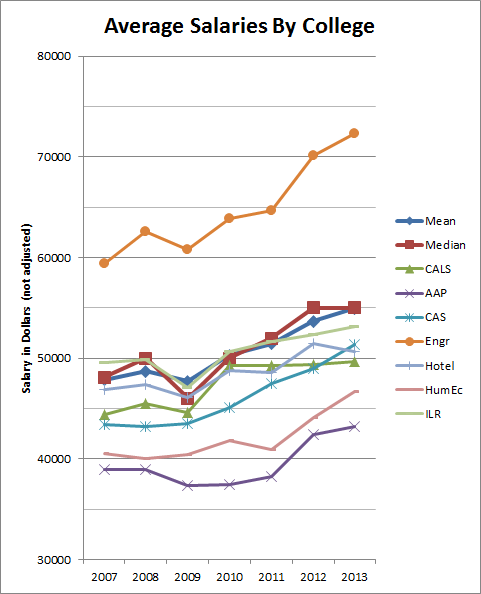 Below are Cornell’s enrollments from 2002-2013 by CIP, “Classification of Instruction Programs“, which is used by government entities to track enrollments by study. Looking at this, it’s easy to pick out some winners and losers over the past decade. 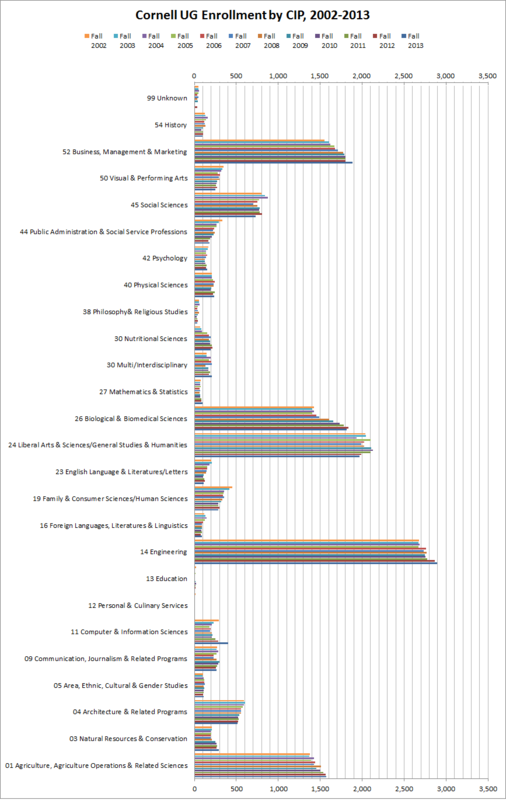 Social Services, English, Family and Consumer Sciences, and Architecture have notable drops. 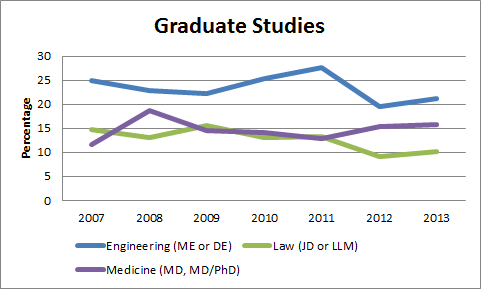 Biological and Biomedical Sciences, Engineering, Agriculture and Business have grown. 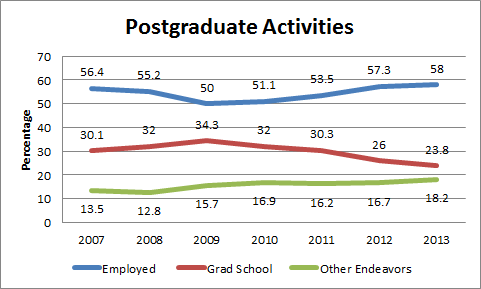 Liberal Arts shows no strong trend. Computer Science shows an interesting parabolic shape, which can be attributed to the tech bubble bursting in the early 2000s, and taking a few years to recover before entering the current tech boom. I’m going to take three years – 2003, 2008 and 2013, and split them into “STEM” and “non-STEM” for this next plot. The unknowns and multidisciplinary majors will be removed and I’m going to treat business separately. Non-STEM will be history, performing arts, social sciences, social services, psychology, philosophy, liberal arts, english, family and consumer science, foreign languages, education, personal services, communication, architecture, and area/cultural studies. STEM will be physical sciences, nutritional science, math, biology, engineering, computer science, natural resources and agriculture. I’ve made an attempt to separate “hard” sciences from “soft” sciences, and I realize there’s plenty of room for debate which categories belong in STEM and non-STEM, but I’ll leave that out for now. 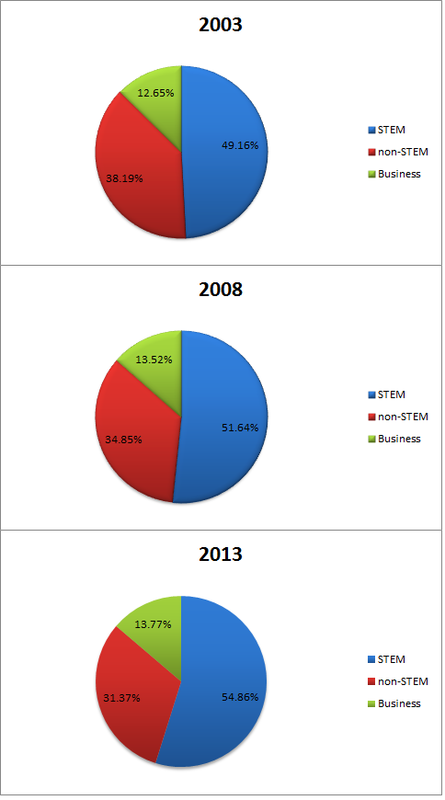 Over time, non-STEM is decreasing, while STEM and business are increase their share of the Cornell student population. It could be that there’s genuinely more interest in business and STEM, or Cornell students could simply be more pragmatic these days, choosing things that offer cold hard cash versus the educational enlightenment of the arts and humanities. Feel free to leave your comments. 1. Let me start by acting all civic-minded and promote the public meeting INHS is hosting for the Neighborhood Pride site in the Northside neighborhood of the city. November 12th, 4:30-7:30 PM, inside the former grocery at 210 Hancock Street. As Jason at Ithaca Builds noted a few months back, this will likely be the largest development on the north side since the 1950s. Here’s why your opinion is important. The site has walking access to many local venues, affordable housing is in very high demand, and the site as it currently stands is underutilized and an easy target for vandalism. INHS is looking to avoid a repeat of the battle that happened with Stone Quarry, and is actively engaging with the community to see what will and won’t mesh with neighbors. In theory (under zoning and given some assumptions), the site could host nearly 200 units of housing. 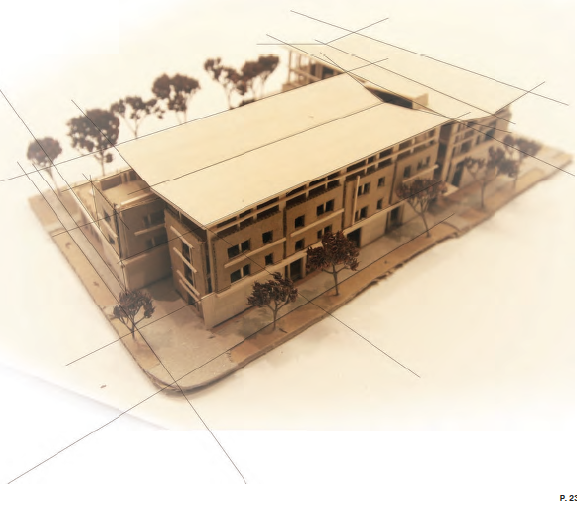 The city has already expressed a strong preference for an owner-occupied housing component, and the city comprehensive plan supports some small-scale commercial uses at the site, with higher-density residential. There have even been reports that the Sciencenter is interested in playing a role. So that’s the sort of framework here; how much housing, what proportion of renters vs. owners, and what sort of mixed uses if any. 2. Well, this isn’t good – according to the Ithaca Journal, recent findings by Unchained Properties, the developer for the Chain Works District (a.k.a. the Emerson redevelopment), suggest the site is even more contaminated than previously thought. While the developer has said it remains committed to the project, I dread an Ithaca Gun repeat, where continually-worse pollution causes the project to grind to a standstill. According to the purchase agreement that Unchained Properties has with Emerson (which although it closed up shop in 2010, still owns the site), Emerson pays for all the remediation, which I suppose they’re okay with if it means getting rid of the site from their asset lists. A draft environmental impact statement is due for submission sometime after Christmas, with several city/town/developer meetings and discussions in the meanwhile. 3. Now, I know everyone’s been complaining – we need more more suburban GeneriMerican chain restaurant boxes with ample parking. Your prayers have been answered! This time, the newcomer is DiBella’s, a chain sub sandwich restaurant based out of Rochester with about 43 locations scattered throughout six states in the Northeast and Midwest. Dibella’s “theme” is a vague 1930s/1940s look; the one near my office is just really dimly lit, reminiscent of my dead grandmother’s living room. Snark aside, the chain is looking to build a 3,400 sq ft building on an outparcel pad property at 222 Elmira Road – just north of Five Guys, and behind the Ithaca Shopping Plaza. Follows the “real estate guidelines” on Dibella’s website near-perfectly. Cover letter here, site plan review application here, more drawings and renders here, full environmental assessment form here. The application states that the construction cost will be about $600,000 and the time frame is from February to August 2015. They’ll need a BZA variance for lot coverage, which I don’t foresee being an issue. The plan is by NYC-based Marx Realty. It’s tax money, it’s “5+/-” jobs. Meh. 4. Some minor revisions to 114 Catherine, new renders here. Compared to the previous iteration, it has a little more detailing on the concrete base, and they changed up the panes in those corner windows. here’s the traffic plan, which kinda just states that students have access to buses, bike racks, delivery space and a little parking in the rear, and their own two feet. This one’s pretty much good to go for approval. 5. Friday the 7th, the county has another meeting to discuss the Old Library site, this one to finalize and release the actual RFP. 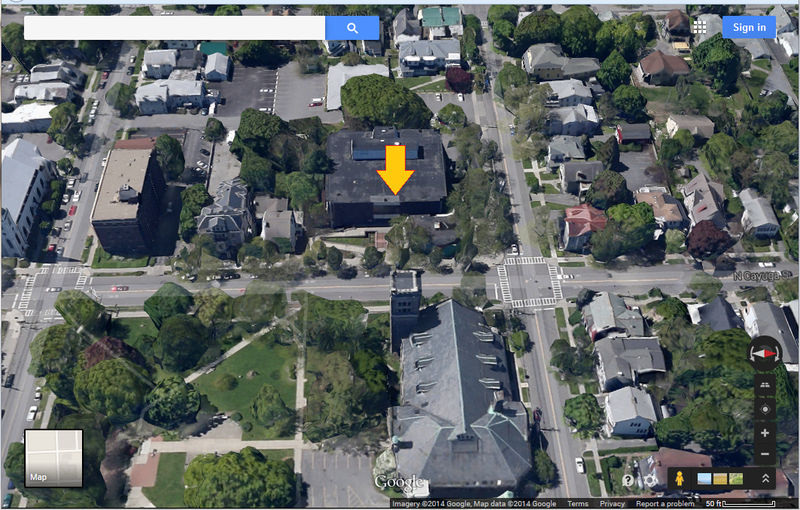 For those interested in going tomorrow, it’s at 3 PM in the Heyman conference room at 125 East Court Street. I have a major concern here – the final choice on developer was supposed to be in March 2015. Now it’s January 2016. 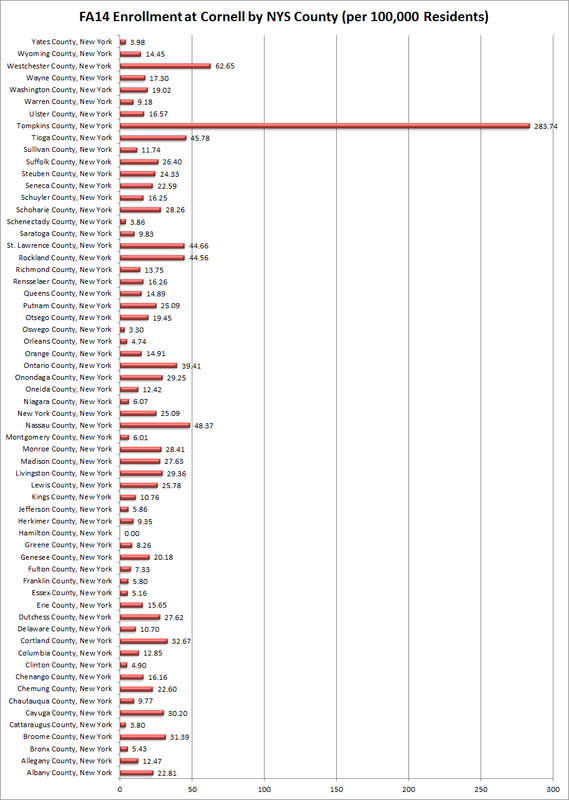 The county is putting an additional strain on all the proposals, because labor and material costs are increasing. This has the potential to remove desirable features from projects, or cause developers to simply walk away. The county was very fortunate to have six expressions of interest for the site; two have already walked away. If the county doesn’t get its act together or is perceived to be acting in bad faith, the potential is there for very few or no proposals when the due date comes in March 2015. It will be a very uncomfortable day for the legislature if that happens. 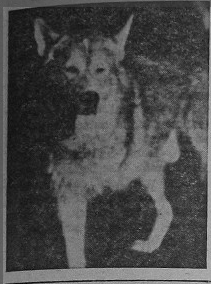 >Move sales of their Subaru-Hyundai, Fiat-Alfa Romeo, and Nissan dealerships — from Elmira Road out to the new site in the town. The site is currently vacant land, and the Economy and Rodeway Inns would be removed. >renovate its Dodge Chrysler Jeep Ram dealership in front of Wegmans. It sounds like the only place losing business is Lansing. In a blend in all that is obnoxious and trendy in today’s planning, they’re calling it an “artisanal car dealership”. You sir, get a facepalm. Apparently, artisanal here means “modern architecture and a naturesque, university-style campus”. “Naturesque”. Another facepalm. Regardless of artisanal features, the project requires relocating the town’s proposed Saponi Meadows Park, and doesn’t fit with their comprehensive plan. Any movement on this will be slow (they tell the town they’re shooting for late 2015-2016 for a start date); but when those fancy artisanal renders come up, you’ll see copies of them here.